Pure, unheated, untreated blossom honey from virgin forests. Our honey is the purest. It is gathered from swarms of bees humming among the flowers in the virgin forest and fields on our farms. The air is pure; the forest flowers are fragrant. 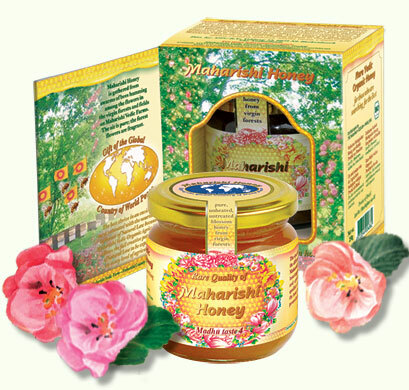 Maharishi Honey is produced on Maharishi Vedic Farms in the pure, unpolluted atmosphere of virgin forests and lands, enhanced by Vedic (Natural Law based) Farming Technologies.